This post is about the technology used in 3D and how 3D technology used in theaters is different from that used in out 3D televisions and 3D used in smartphones. Normally what we see on TV, cell-phone displays, movie theatre is simply 2D, but the improvement in technology has allowed us to gain a 3D experience. But has anyone noted or even thought that there is a lot of difference in watching a 3D movie in a theatre, 3D on our home screen and 3D in our smartphones. In real life when we view an object either eye sees a different picture from other due to a minute variation in the angle. The difference in angle will be as greater as you are close to the target object. Our brain calculates this information and creates a single image having depth, which helps us to calculate the distance of the target object. Therefore 3D film makers take shot from two different angles corresponding to average distance between human eyes that is two different cameras are used. In animated films these shots come from computer models. Earlier, the 3D effect was created by using different colors for different eyes. Ever noticed the earlier 3D glasses blue for left and red for right eye respectively was used. This is also known as red cyan anaglyph 3D movies. Currently we use polarization technique. 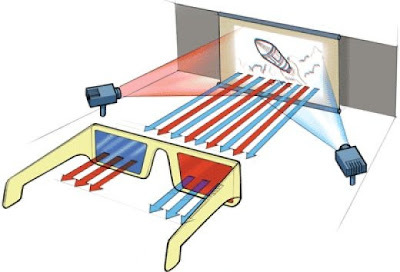 In this the 3D projector uses polarized filters light is polarized and two images are projected- a right eye perspective displayed by clockwise polarization and a left eye perspective displayed by anticlockwise polarization. The audience has to wear special polarized glasses as that allow the right polarity to enter each eye. The brain assembles both the images having depth. Well 3D at home is of two types i.e. active and passive. 3D enabled LCD plasma TV sets work differently from technology used in cinema halls. Here the glasses worn by the viewer are not polarized but active shutter glasses. In this technology the TV rapidly flashes alternating left-eye and right-eye video frames. in this at a particular instant of time only a single perspective is active i.e. when screen flashes left perspective the right eye of glasses turns opaque and when it flashes right eye perspective, left eye of glasses turns opaque. And all this happens at a great speed at 120 Hz or 120 times per second. The only con is that you have to still wear glasses. Here the TV divides left and right eye perspectives into alternating vertical columns. The screen has numerous microscopic lenses placed on it to bend the light rays such that each right perspective reaches right eye and left eye perspective reaches left eye. The amazing thing is that in this technology there is no need to wear glasses. The technique used in smartphones to display 3D is AUTOSTEREOSCOPY. Many phones such as LG Optimus 3D and HTC EVO 3D use this technique. 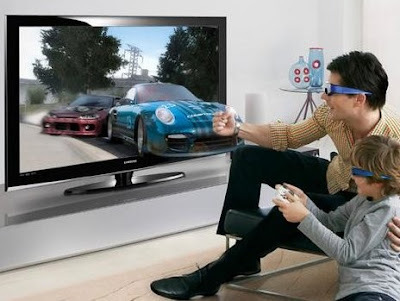 The 3D which we have dealt with earlier or traditional 3D is stereoscopic 3D that is we require glasses in them but auto-stereoscopic 3D is glass free 3D. In this technique instead of different images different light to the two eyes. Techniques such as parallax barrier or lenticular technique is used here. The future of 3D is seen very bright. Scientists and researchers are testing 3D technology in such a way that devices could be manufatured that show different images or videos to different viewers looking at the same screen. 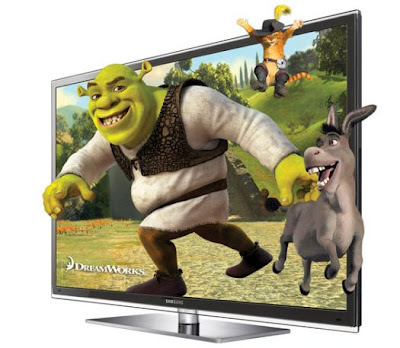 For instance in passive 3D TV every person watches the TV sitting at a different angle and thus a different image is seen by him, so every person in the family is able to watch his/ her favorite channels at the same time without fighting over the remote. Another application of 3D in future could be 3D conferencing which will be a next step from video conferencing with 3D video conferencing eye contact gets possible, which is a more lively way to communicate. 3D processing hardware such as high end laptops and 3D gaming devices are already available in the market. NVidia and AMD are already using this technology to produce high end graphic cards for gaming devices. 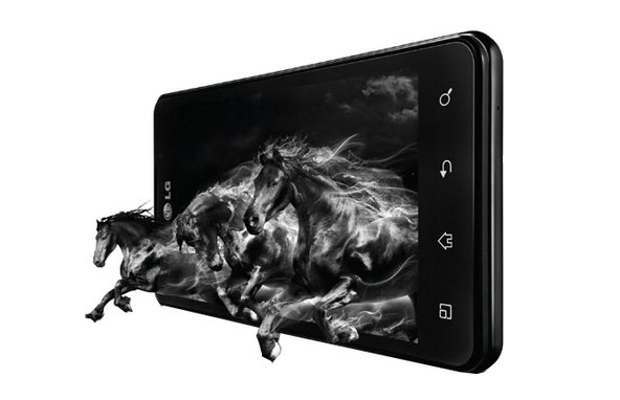 Smartphones will also support 3D recording images and videos through two cameras placed at some distance apart. The different angles of cameras w.r.t. object being photographed.